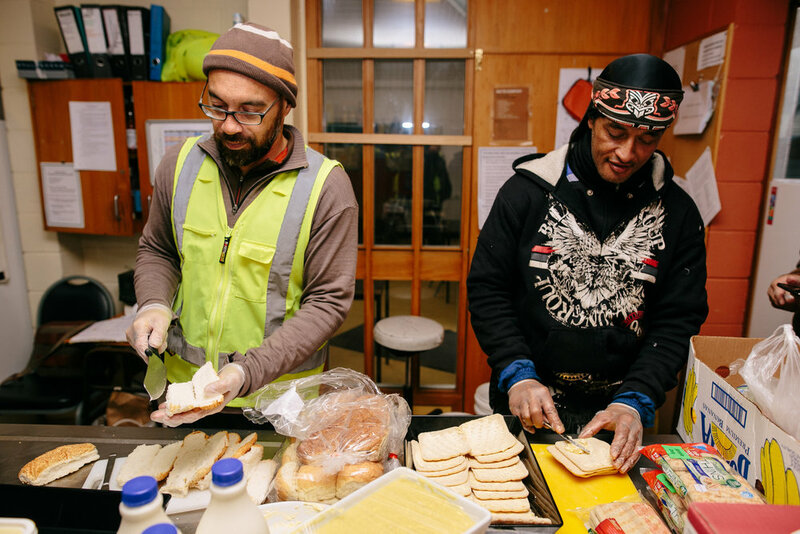 Not all superheroes wear capes – high-vis vests are enough for the Kaibosh workers who rescue enough food to feed more than 4,000 people around the Wellington region each week. 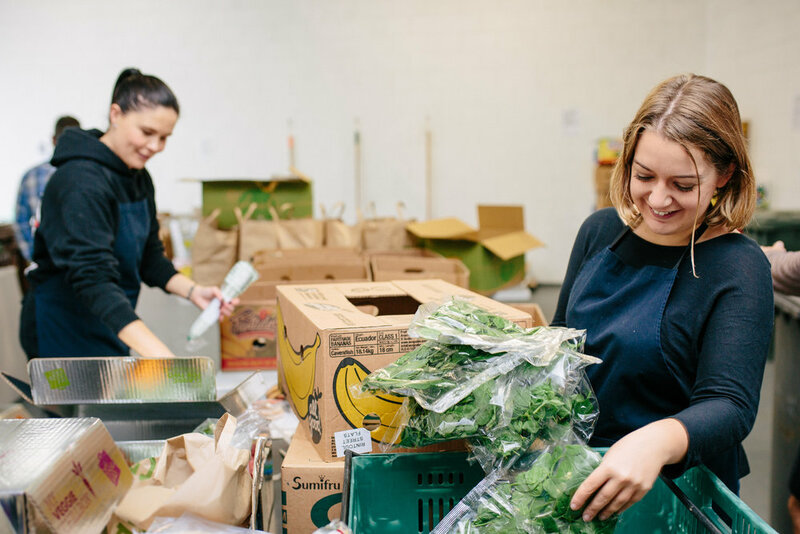 We followed a team from New Zealand’s pioneering food rescue organisation on a typical shift as they carried out their mission to slash food waste and feed the hungry. Asparagus, tomatoes, capsicums, courgettes, bananas, apples and bread rolls – all the ingredients for a delicious meal. Yet the clock is ticking for the fresh food in the cardboard box held by Newtown Countdown store manager Nigel Harman. It’s no longer in peak condition, so if no-one rescues the produce soon it’ll end up in landfill. Enter Kaibosh drivers Dee Corcoran and David Flynn. Dee is a musician and busker who started out as a volunteer and is now on the staff of Kaibosh, while David signed up as a volunteer after retiring from IBM last year. They’re with Kaibosh operations manager Marty Andrews, who chucked in his admin job with a US superannuation company to join Kaibosh. “I decided that if I was going to work every day, it would be for the people in my community,” he says. Countdown is Kaibosh’s biggest donor, with local branches supplying up to 70% of its food donations. 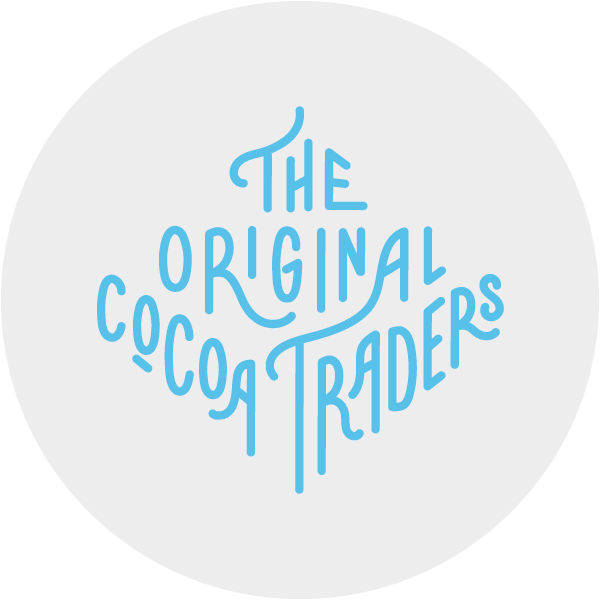 Nigel says he and his team are always on the look-out for food that is still good enough to eat but no longer good enough to sell. “We know that if we give food to Kaibosh, it will go to people who really need it,” says Nigel, handing the box to Marty to load into Kaibosh’s chiller van. Back at Kaibosh HQ in Mt Cook, Natalie Verner is one of a team of four volunteers sorting the food from Countdown and other donors. Natalie, a Londoner, worked in the UK food industry for six years before deciding the food production system was broken. The realisation prompted her to quit her job and study for a Master’s degree in food security and sustainable agriculture. She’s now spending two years travelling around New Zealand, working in food rescue organisations and on organic farms. Natalie has been volunteering at Kaibosh for a week. 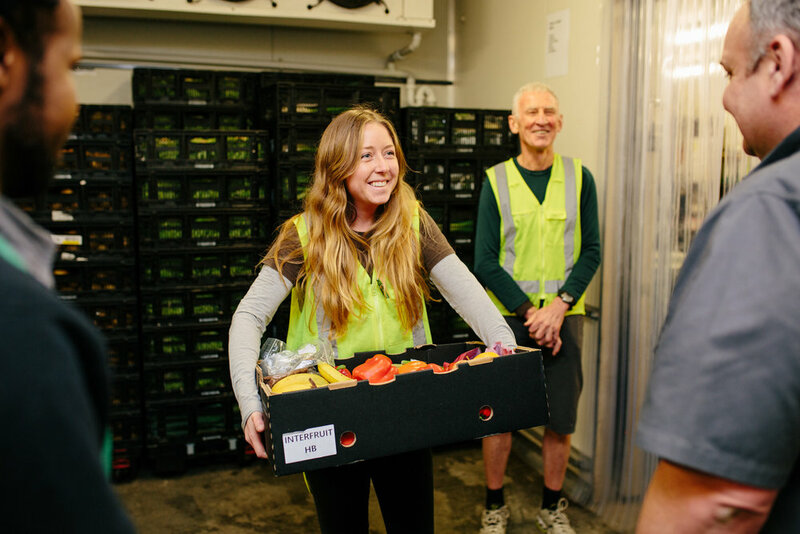 “It’s so well organised, and it has a real community feel,” she says as she picks up a capsicum, does a quick quality check and places it on top of a boxful of fresh food destined to feed guests at Wellington City Mission. 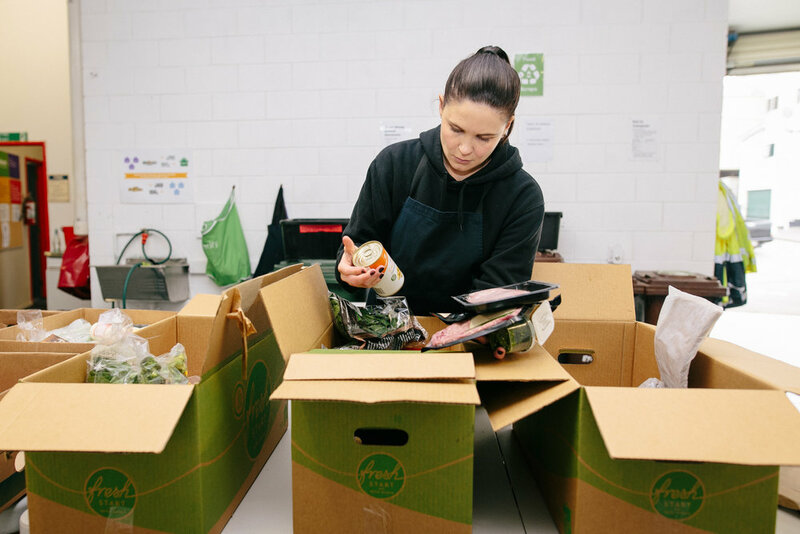 Hayley Osborne checks that a boxful of donated food is still in tip-top condition – anything too far past its peak is given to an animal rescue charity or turned into compost. Today Natalie is sorting food alongside Hayley Osborne, who recently moved back to Wellington from Sydney and volunteers at Kaibosh a couple of times a week. Top – Buttering up: Kaibosh’s Marty Andrews (left) and the Newtown Ninja tackle a stack of sliced white. Mid – Thanks a bunch! David Duff checks out the bananas and other edible goodies donated to Wellington City Mission. 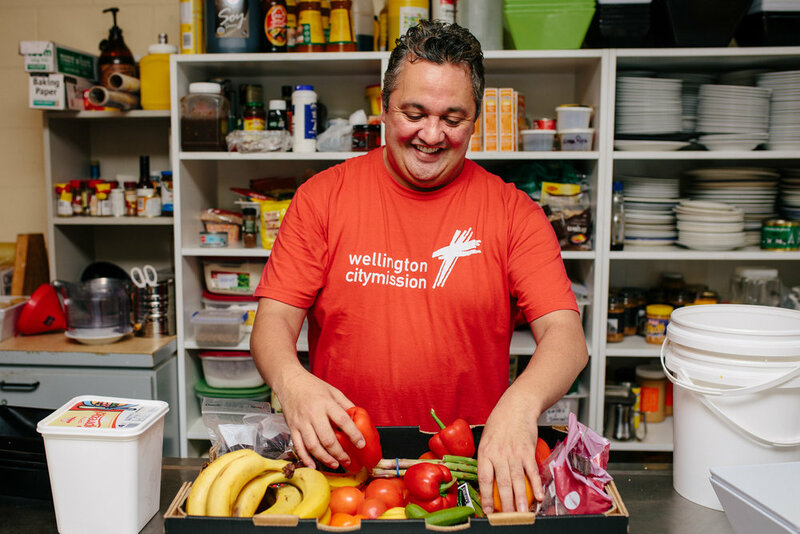 Raymond McMahon – better-known as the Newtown Ninja – is using his lightning-fast knife skills to chop up a pile of Kaibosh veggies at Wellington City Mission. He and his fellow kitchen volunteers make sure none of the Kaibosh food is wasted. Vegetables are turned into soups or healthy, hearty meals; bananas might be made into a cake or included in a food bank parcel; apples could be pureed and dished up for breakfast. The Mission serves an average of 70 guests per day in its Drop-In Centre, and 60% of its meals are made from Kaibosh food. Many of the Mission’s guests are older people who are homeless, living alone or in residential care, but team leader David Duff says there are increasing number of families with young children. Guests come from as far away as Johnsonville and the Hutt Valley, and no-one is ever turned away. The Mission is just one of around 60 organisations supported by the food rescue charity from either its Wellington or Lower Hutt base, says Kaibosh general manager Matt Dagger. It hasn’t been all smooth sailing for Kaibosh since it launched in 2008: last year, it was forced to run a reduced service operating out of the back of trucks for four months after its Wellington premises developed cracks in the November quake. “It was distressing to see how many people faced hardship when we couldn’t bring food to them,” says Matt. 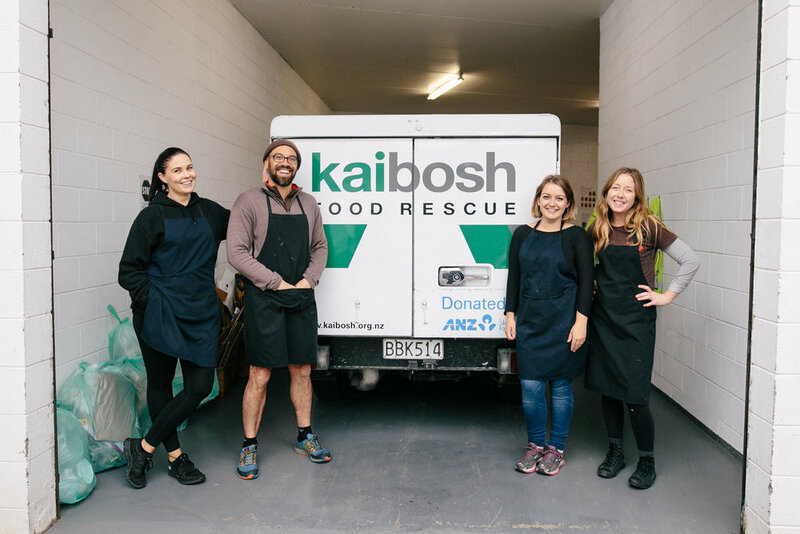 Kaibosh now has new Wellington premises in Mt Cook, and recently celebrated supplying its two millionth meal. May 2017 was its busiest-ever month, with the charity rescuing an astonishing 5,000kg of food every week across its two sites. Matt says none of it would be possible without the people who support Kaibosh by donating food, money or their time. “For me, that sums up the close community feeling we have here throughout the Wellington region,” he says. You can help feed hungry people and cut down on food waste by supporting Kaibosh’s work. 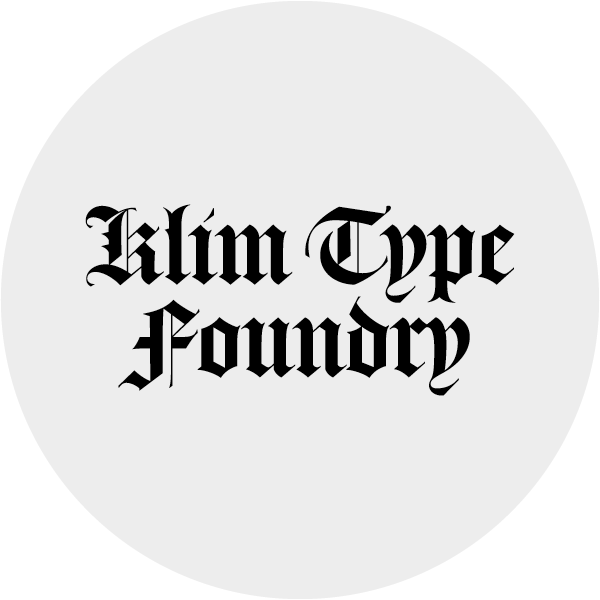 They're a partner charity with One Percent Collective, so you can support them with 1% of your income. 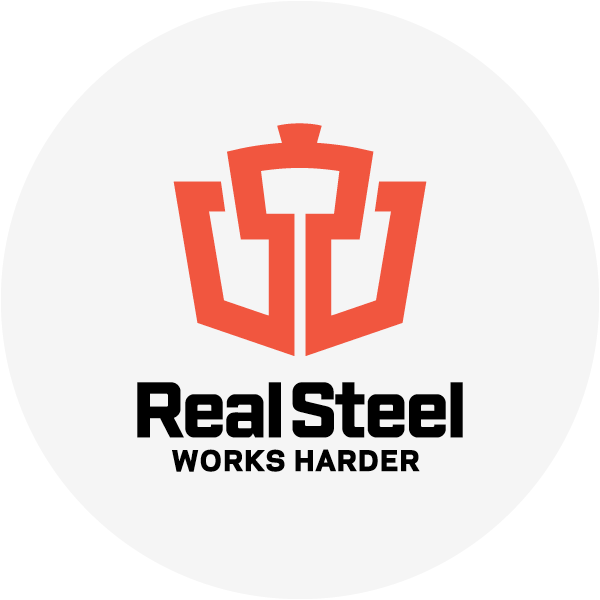 Go learn more! As the kids at Papatoetoe West Primary set off to harvest goodies from the garden, we caught up with their teacher and principal to learn more about how Garden To Table has become the kids' favourite class of all. Life loves to throw curveballs, but Alexis tells us the support she’s been getting from Bellyful Hamilton is a game-changer in dealing with them. She shares the story of her most recent birth, and how the kindness of friends and strangers helped her through.